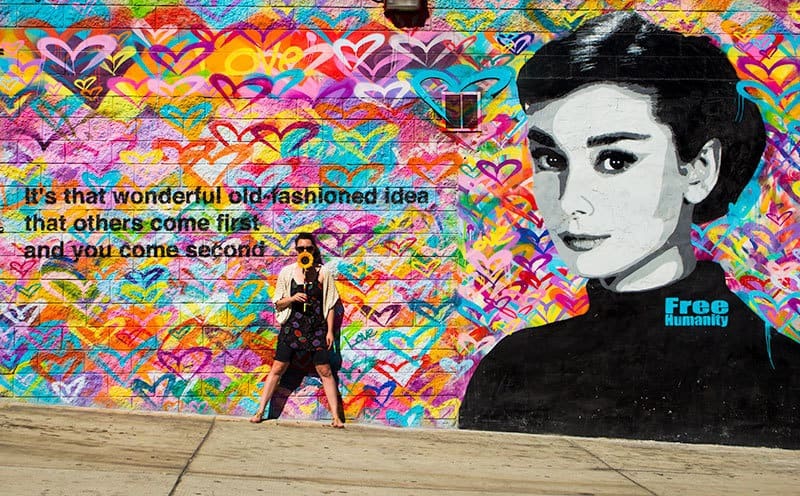 Yarn bombing, guerilla knitting, urban knitting. Call it what you want, this popular trend is making its mark all over the world, one stitch at a time. 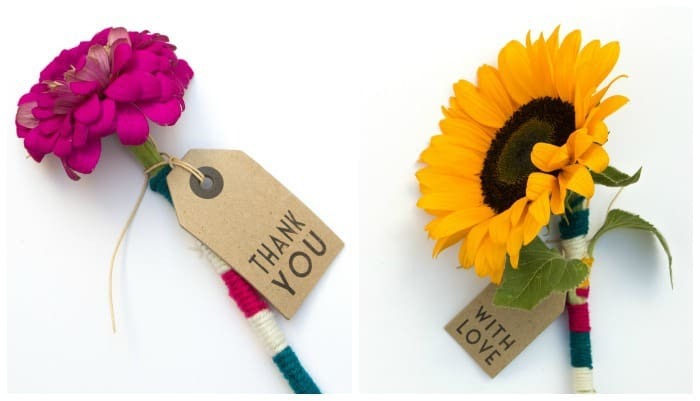 This week we are bringing the fad to fresh flowers as a special way to gift a single bloom. Yarn bombing your blooms takes about five to ten minutes, and is a great excuse to add more yarn to your wine rack yarn collection. 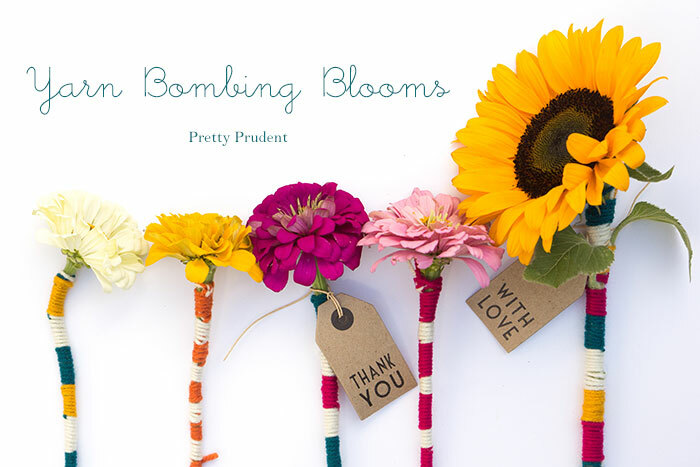 Experiment and have fun with it by yarn bombing bouquets, corsages, and boutonnières. After I made a bunch, I went around Downtown LA and gave them to friends. They were a hit! 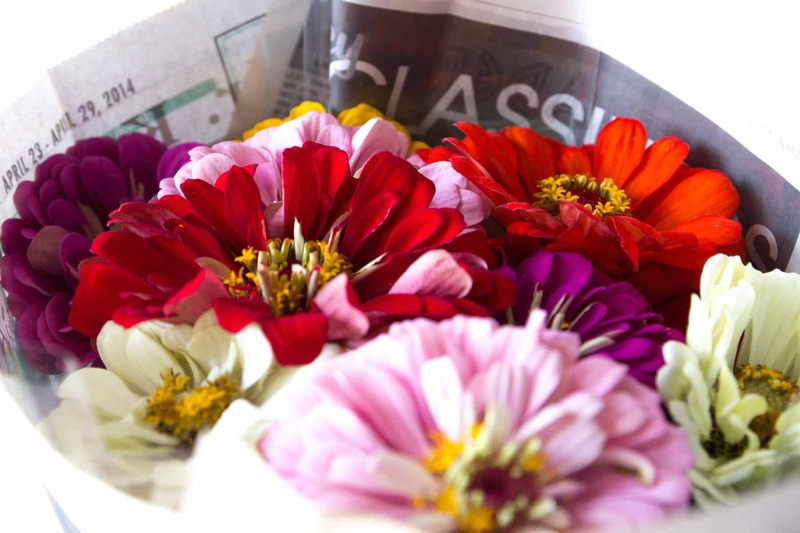 Pick out a bouquet of fresh flowers that have fairly strong stems. I chose zinnias and sunflowers. 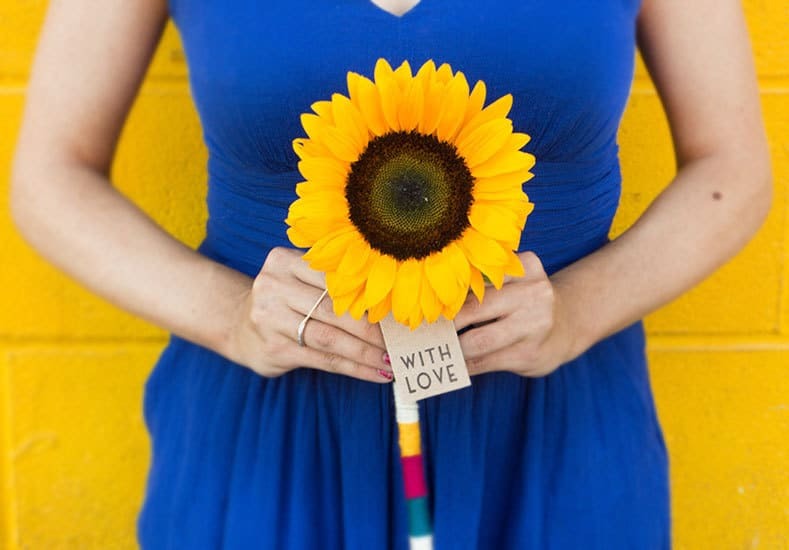 The sunflowers are a must for this project because of their long stems and bright color. They can also last quite a bit without any water. Choose your colors of yarn. You can pick as many colors as you’d like. 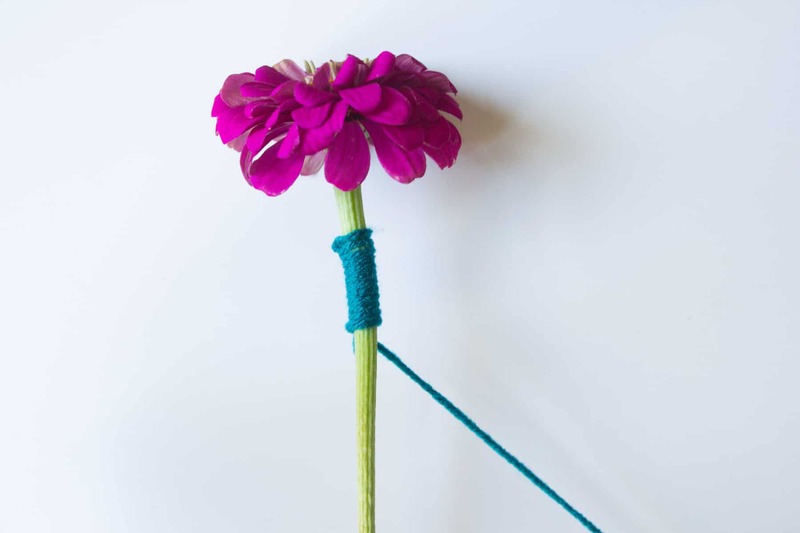 Start by making a knot at the top of the flower with your yarn. 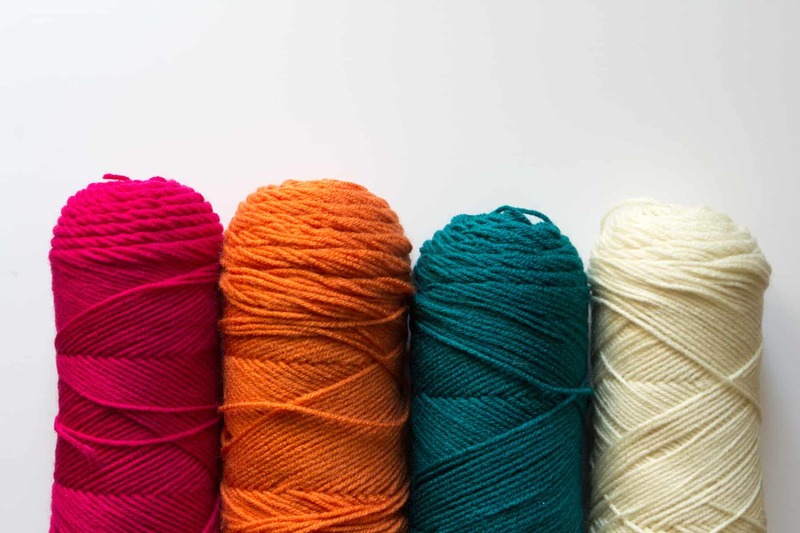 If you do each piece of yarn one by one, you will want to cut shorter pieces so you can knot them at the end of each section before you get to the next color. The other option is to tie all the strings at the top and cut them to about double the length of the stem. 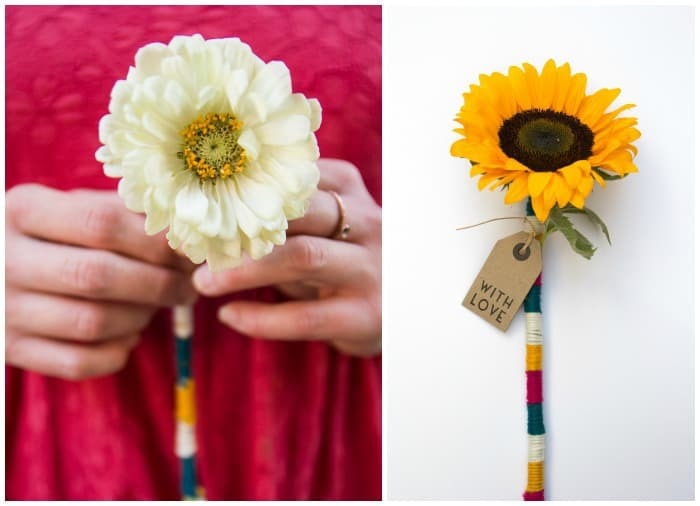 Then, switch off yarn colors as you wrap around the flower stem. Tie the yarn off at the end and leave some hanging, or snip it at the knot. 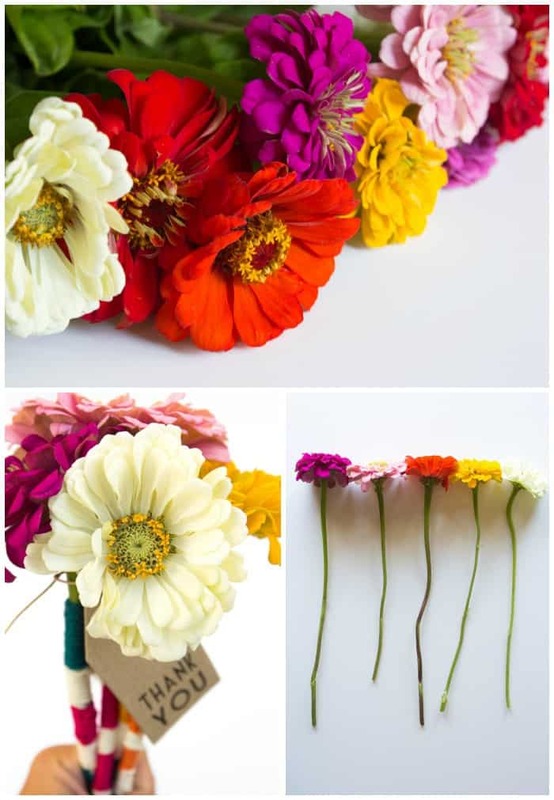 To keep the flower living longer, leave a few inches of the stem uncovered so you can set it in water. If you’re on a yarn bombing kick, you can also learn how to make granny squares and pennants to decorate trees, poles, bikes, you name it. So adorable. 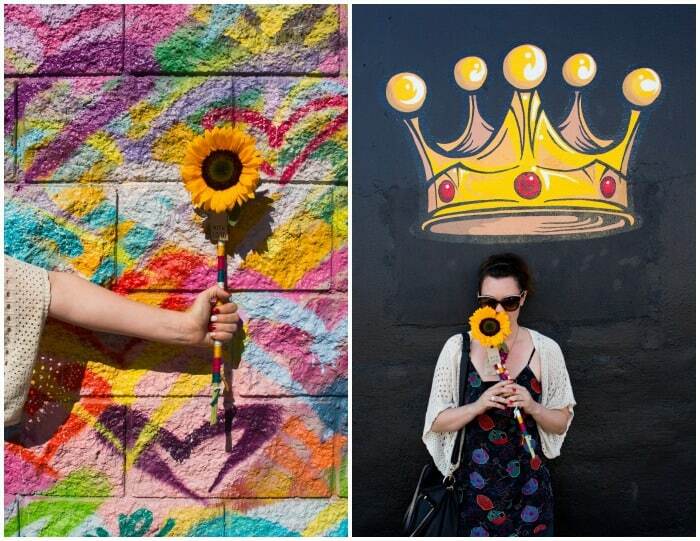 What a way to amp up the ol’ flowers!